Cross training is a great way to stay fit. If you did not know, cross training is when you mix cardio and strength exercises to create a well-balanced training routine that will benefit your body in many ways. With that said, you do need the right gear for cross training. What we are talking about here is your shoes. Yes, you need good cross training shoes for this. So, what are some of the best cross training shoes for women? 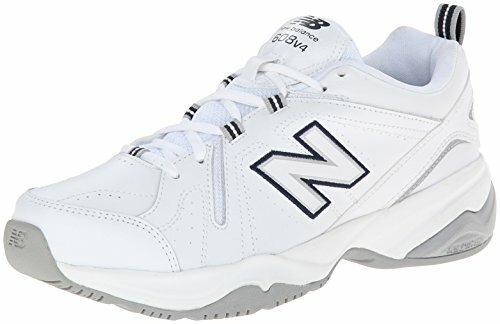 The New Balance WX608V4 Women’s Training Shoe is an affordable cross training shoe that comes with many of the features you would expect from any cross trainer. For one, this shoe features shock absorbing ABZORB cushioning, which is combined with an internal stability shank. This means that the New Balance WX608V4 Women’s Training Shoe is amazing in terms of comfort, support, and stability. It does a great job at absorbing the impact of each step and movement, it works to support the arches of the feet, and it is good in terms of stability. When it comes down to it, you will be hard pressed to find a cross trainer with more support and stability than this one. Speaking of comfort, the well-padded insole is actually removable, so if need be, you can replace the insole with your own specialized insoles. Versatility is definitely a big bonus here. Moreover, the New Balance WX608V4 Women’s Training Shoe also features a solid rubber outsole with a good traction pattern, thus allowing for maximum power, acceleration, and balance. The rubber outsole is also designed for indoor use in the sense that it’s made to prevent scuffing of the floorsIn terms of durability, the New Balance WX608V4 Women’s Training Shoe is made with a leather upper, which makes for a durable shoe. This shoe is also quite lightweight. However, what needs to be said is that this shoe is not very breathable. Yes, your feet might get a bit hot in these shoes. When it comes to comfortable, durable, supportive, and very affordable cross trainers, the PUMA Women’s Tazon 6 Cross-Trainer is a great option to keep in mind. 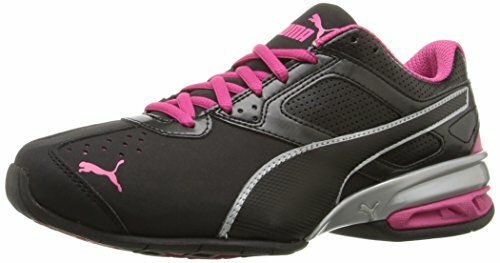 For one, the PUMA Women’s Tazon 6 Cross-Trainer is made with 100% synthetic leather. We like this because it makes this cross trainer very durable and long lasting, at least the upper portion of it. The leather is fairly lightweight, although not the lightest around. However, a big bonus here is that the upper features a lot of little perforations which help increase airflow and breathability for a bit of a cooling effect. Something else which helps increase breathability is the EcoOrthoLite sock liner. This sock liner helps keep things fairly soft on the inside; it wicks moisture away from your feet, and it helps ventilation too.In terms of the inside of the shoe, these shoes come with a TPU shank which helps stiffen things up a bit in order to keep your foot in place, to keep your heel from sliding around, and to prevent general lateral movement within the shoe. On a side note, some people have noted that this shoe is very stiff. We like the rubber sole of the PUMA Women’s Tazon 6 Cross-Trainer, as it is designed to prevent scuffing on indoor surfaces. It also features a good pattern for a high level of traction on indoor surfaces for fast movements. The EVA heel and mid-foot saddle are both great in terms of general support, especially for the arches, and it helps absorb impact for heel strikers too. 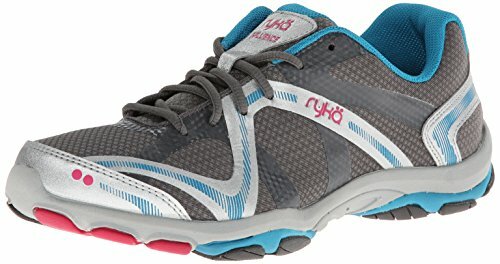 At this point, the RYKA Women’s Influence Cross Training Shoe is the most affordable cross trainer on this list today, but affordability is not the only benefit with which it comes. In terms of support and comfort, the RYKA Women’s Influence Cross Training Shoe is up there with the best of them. First off, this cross trainer features a dual density foam midsole with a high-impact energy return. This means that not only does this shoe absorb a lot of shock and impact, but it also has the ability to take that energy and convert it to be used with your next movement, thus allowing for lots of speed. The RYKA Women’s Influence Cross Training Shoe also features a precise return bouncy insole, which is not only soft and well-padded, but also serves to transfer energy into your next movements. This shoe is ergonomically designed and features a lot of arch and heel support. This is also thanks to the Flex-Foil and Direct Fuse layers, both of which help prevent lateral movement and increase stability.This cross trainer is made with 100% synthetic materials. Now, it is not the most durable shoe in the world, which does need to be said. However, the mesh upper is very lightweight, flexible, comfortable, and breathable. It’s a good option for speed and to help keep your feet well-ventilated and fatigue free. 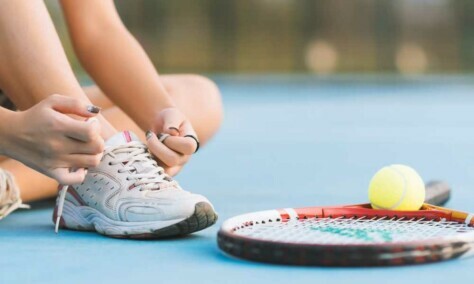 While this is one of the slightly more expensive cross trainers on this list, it is definitely also a very supportive, comfortable, and overall high-quality shoe. When it comes to lightweight breathability, you will be hard-pressed to find a shoe better than this one, especially for cross training. The synthetic upper which features a lot of mesh is about breathable as it gets. It’s very well-ventilated, plus the mesh helps keep things very lightweight and comfortable. It’s a shoe designed for speed and fast-paced movement. Another good part here is the 100% rubber sole which is designed to prevent scuffing on indoor surfaces. It also features a high-quality traction pattern to make sure that you don’t slip, even if you are turning on a dime. If you need a shoe with lots of mobility and flexibility, the forefoot flex grooves on the RYKA Women’s Influence Cross Training Shoe will come in handy as well. It’s a shoe that moves with your feet instead of holding them back. In terms of comfort and support, this cross trainer features a bootie heel construction with a well-cushioned sole. It can absorb a lot of impact, it prevents lateral movement, and it keeps you heel in place. The low-cut design helps with mobility, but keep in mind that this decreases ankle support. 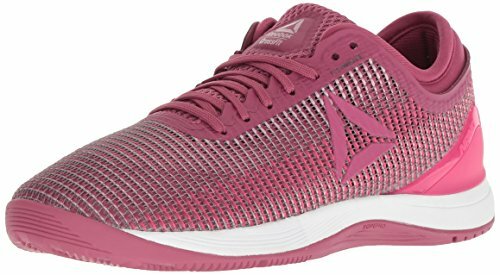 This is a moderately priced cross training shoe that offers a lightweight and breathable design with lots of stability, comfort, and cushioning. The NIKE Women’s Cross Trainer 7 is made out of textile and synthetic materials. It features a mesh upper which is very breathable and well-ventilated. At the same time, the mesh, plus the general design of this shoe, helps to keep things very lightweight. It’s a shoe designed for fast-paced action. The mesh is not the most durable, but it can withstand a bit of punishment. NIKE Women’s Cross Trainer 7 has a rubber sole with strategically placed pods so you can make quick movements, turn on a dime, and be confident that you won’t slip while doing so. When it comes to flexibility and comfort, the grooves in the forefoot allow this shoe to move with your feet instead of holding it back. Speaking of comfort and support, the NIKE Women’s Cross Trainer 7 comes with a comfort sock liner and a dual density foam midsole. This, combined with the ergonomic design of this cross trainer offers a lot of bottom-up support for the arches. It also helps to absorb a lot of impact, transfer energy, and prevent painful feet too. After all has been said, the shoe which we would recommend the New Balance WX608V4 Women’s Training Shoe as being the best cross trainer. It has a good all-around mix of all of the features you need for cross training. If you want something a little less expensive that still gets the job done, we would recommend the RYKA Women’s Influence Cross Training Shoe.